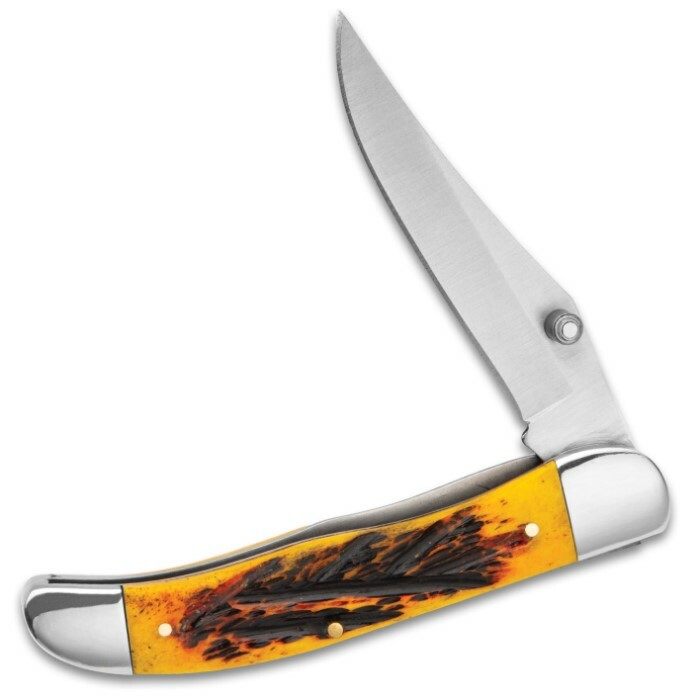 Ridge Runner Journeyman Traditional EDC Pocket Knife / Folder - 420 Stainless Steel, Clip Point, Thumb Stud - Vintage Yellow Jigged Bone - Pocket Clip - Everyday Carry / Collectible - 4" Closed | BUDK.com - Knives & Swords At The Lowest Prices! Ridge Runner's “Journeyman” Traditional EDC Pocket Knife combines tough-as-nails construction with the rustic charm of jigged bone for a folder that’s as hard-working as it is collectible. It’s everything you want in an everyday carry and then some! The fine detail in the jigged bone handle is extraordinary, highlighted by warm shades of goldernrod, cinnamon and umber. It’s a classic, timeless look that shines in any collection. When put to work, the rugged bone resists chipping, scratching and other damage, while the jigged texture creates a bond with your hand that’s simply unrivaled. And since it’s a Ridge Runner, you know you’re getting blades with sharpness and durability second to none. Perfectly sized for easy carry and a near-endless range of cutting jobs, the 4" (closed) Journeyman Traditional EDC features an exceptionally versatile clip point blade, flawlessly cast from resilient 420 stainless steel and carefully honed to razor sharp. 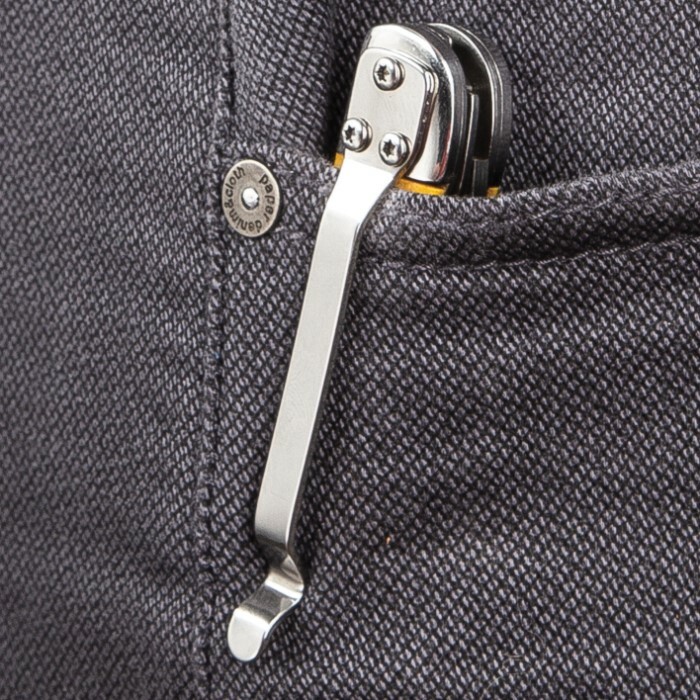 A thumb stud allows for easy one-handed opening, while the built-in pocket clip makes secure carry a breeze! 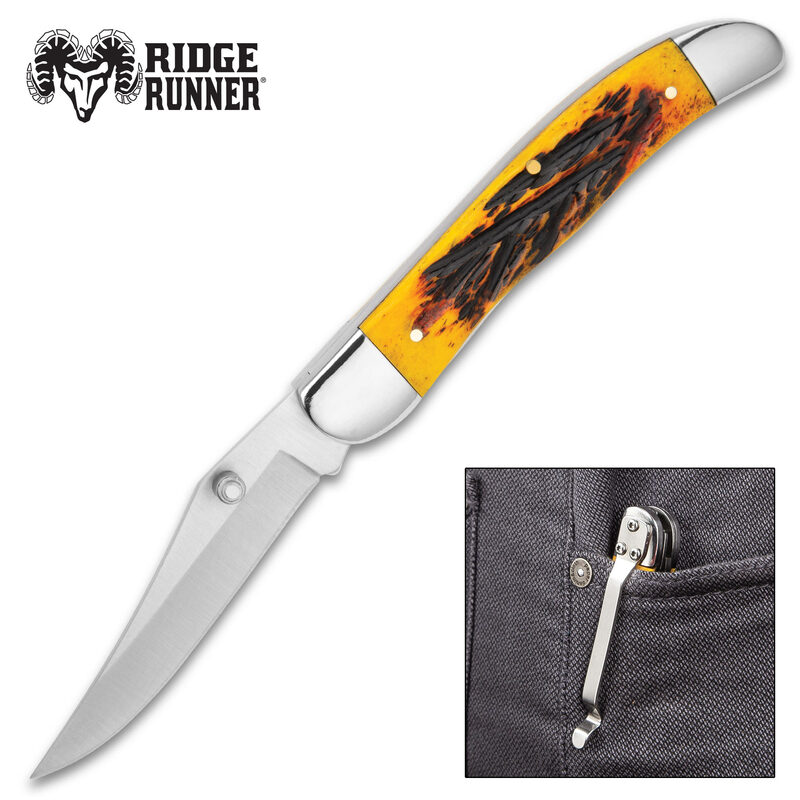 No doubt about it - Ridge Runner’s Journeyman Traditional EDC Pocket Knife is built for a lifetime of enjoyment and won’t let you down when the going gets tough! Very nice indeed! Lots of features; little money. 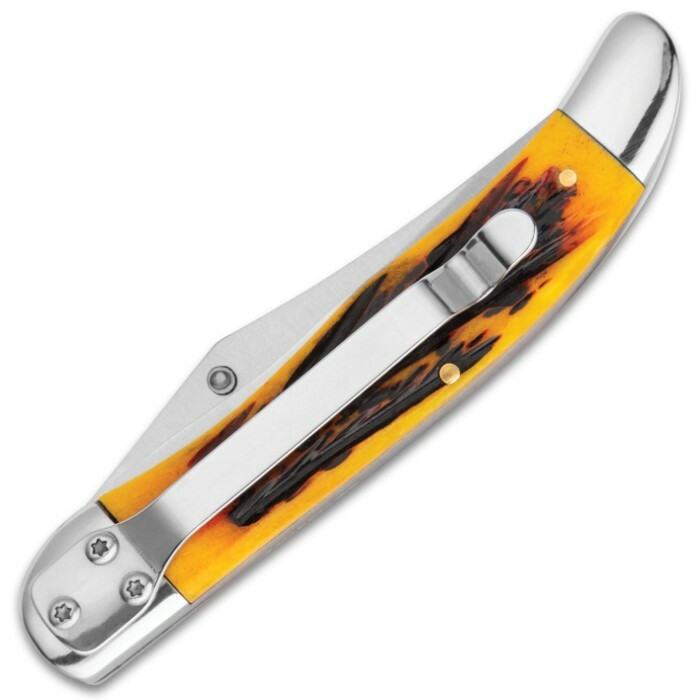 Pocket clip liner lock thumb stud, Bone jigged scales, all in a traditional style! Fit and finish are excellent, cant refuse this gem at this price... You must buy this it reminds me of a simpler time in my youth when all boys carried something similar in our front pocket!